Over the years we have developed and delivered a number of different training products for course reps in institutions within Scotland. These have been designed to enable students to fully engage with quality enhancement processes. While a number of institutions deliver their Introductory CRT via their own IAT schemes or other in-house systems, our wider range of products and materials may still be of interest. Our Course Rep Training products are outlined below, some of which are available for delivery by sparqs Associate Trainers, and some of which are designed for institutions to deliver themselves, with support from sparqs if required. Further details and training materials can be accessed via the links below. Booking forms for the three products above, can be found on each individual webpage. 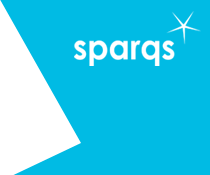 While sparqs offers delivery of the training for students with supported education needs, the full materials are available for download if institutions wish to deliver it in-house. While the three products above are designed for institutions to download materials and deliver the training in-house, sparqs are happy to provide support where required, e.g. helping staff to deliver initial sessions, set up processes, adapt materials, etc. Before booking training, please read our guidance on booking sparqs Course Rep Training. The booking process is open as of Thursday 2nd August 2018. Training delivery will be available from week beginning 17th September 2018 onwards. Bookings should be made at least 3 weeks in advance of requested training dates. Course timings are detailed on the individual product pages, along with the numbers of delegates recommended for each session. If you have any queries please email admin@sparqs.ac.uk. Our course rep training is delivered by our team of Associate Trainers and we are working with institutions around Scotland to help them develop their own training teams. If you have any queries about the booking process, or if you would like support in tailoring our materials to meet institutional needs, please contact us at admin@sparqs.ac.uk or on 0131 622 6599. Any questions about the content of the training should go to Nicola McIntosh.